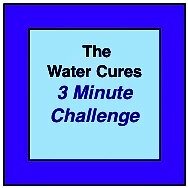 The first and foremost bronchitis home remedy that most have benefited from, is water cures. Go to the Water Cures Bronchitis Protocol and Stop Coughing Now to discover how. If you've dealt with the chronic cough, then you know the feeling of thinking you are going to die from the cough. Here you will find the solution. Before telling you the the fastest acting of the bronchitis home remedies, let me tell you how this solution came to be and why I am an authority on this treatment. After several years of living with the cough, I finally went to the doctor. Actually several doctors. This resulted in trying every antibiotic they could put me on. Nothing worked. Finally, one doctor said that I was going to have to just live with it. On becoming a nurse, I discovered that using chemicals in the form of over the counter drugs made it possible to stop the coughing. It actually involved the use of a few in combination. Then, after using the drug combo, although we were all told it were safe, turns out they have some not so good side effects. 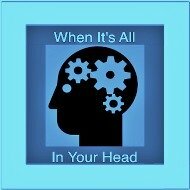 One that was really bad for me as a nurse was memory loss. So, I had to find a better way. I began searching for a bronchitis home remedy that would work for me. It is basic body science. Bronchitis is inflammation of the bronchioles. Whether the inflammation is the result of the cough from irritation or the irritation causes the cough, there is one solution. Stop the inflammation and you stop the cough. Stop the inflammation and you allow your body to heal. If you do not stop the inflammation, your body goes into a endless cycle of coughing which causes inflammation which causes coughing which causes inflammation. If you have experienced this cough, then you understand. Having lived with this cough for over a decade, it was not uncommon to always have it visit once and sometimes twice a year. It always lasted about 30 days and some years, as long as three months. Most nurses are scientists. As scientists of the things we are taught is to look for commonalities and differences. One of the common issues with asthma, bronchitis and cough variant asthma is inflammation. There had to be an easier way. So, how can we stop the inflammation and stop the coughing? How can this be done with something natural. There are three we recommend. 1) The Water Cures Bronchitis Protocol. 2) Alkaline Water: simply drinking alkaline water for a few days helps. 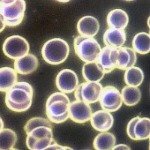 There are chemical ways to fight inflammation. Another word for chemical is drugs. There are also holistic or natural ways to end inflammation. The problem with the drug choice is the side effects. Turns out, of the bronchitis home remedies, there is one in your cupboard. It is very similar to what we use in the hospital. 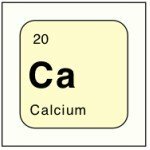 When someone has blood work saying hey are too acid, the doctor gives them sodium bicarbonate. 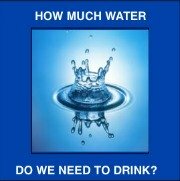 We can do the same thing with our bodies, make them more alkaline. If our bodies are alkaline, it is easier to fight or even stop inflammation. Stop the inflammation and you stop the coughing. Follow the directions on the side of the box of baking soda. Take 1/8 teaspoon sodium bicarbonate or baking soda (use aluminum free baking soda) mixed in 8 ounces of water, and then drink, may help you to to stop the coughing. It is important to mix the baking soda till it totally dissolves. Failure to do this could result in damage to the stomach if undissolved baking soda gets that far down. Do this first thing in the morning and last thing at night before going to bed. 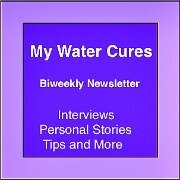 The normal water cures protocol can be followed. However, it may take longer to alkalize your body than with baking soda. Do not use more than morning, mid day and at night. Do not use for more than five days. Note: Do Not Think More Will Work Faster or Better! Overdosing could end you in the ICU of your hospital. Do not take with a meal. Best to take on an empty stomach. Most find that the cough is eliminated within three days. Most find that they can sleep the first night. Baking soda should not be considered a cure for diseases. It is not a substitute for medical care. 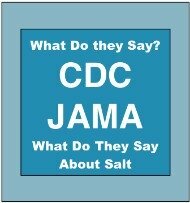 Ask your doctor first to see if baking soda is right for you and how much is safe. 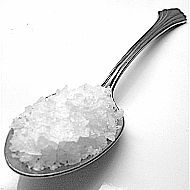 Baking soda is high in sodium so adequate amounts of water need to be consumed with it. It should not be used for more than five days. More is not only not better, it can make you really sick. It should not be used in high doses. It can alter your body PH if you consume too much or take it for too long. It is not safe to use if you have any medical conditions (especially such as kidney disease). Speak to your doctor or pharmacist before using this. Pregnant women or those who are trying to become pregnant should not use this unless directed by their doctor. Negative side effects of using baking soda could be stomach cramps, increased thirst, nausea, weakness, decreased respiratory rate, mental changes and swelling on the ankles and feet. If you experience any of these side effects, you should contact your doctor. If you are in otherwise good health and you try this bronchitis home remedy, it should put an end to the coughing if it is related to inflammation.